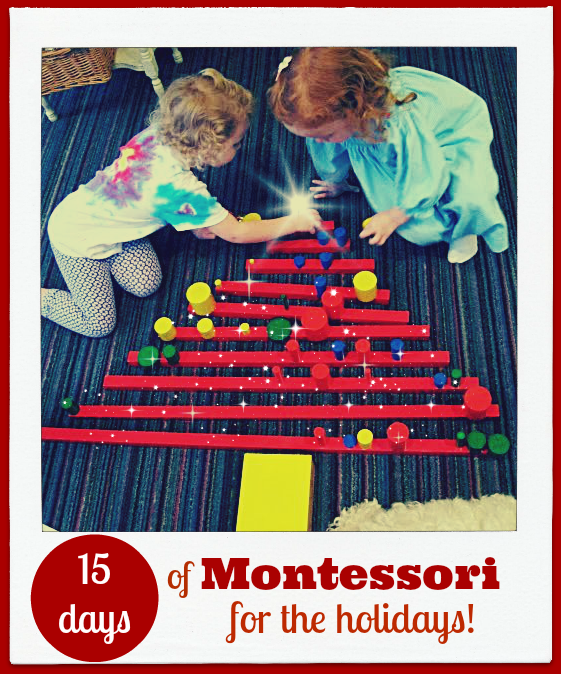 This post is part of the 15 Days of Montessori for the Holidays series. It is a wonderful multicultural holiday event with activities for children of all ages. Please visit the homepage and check out the other holiday blog posts. 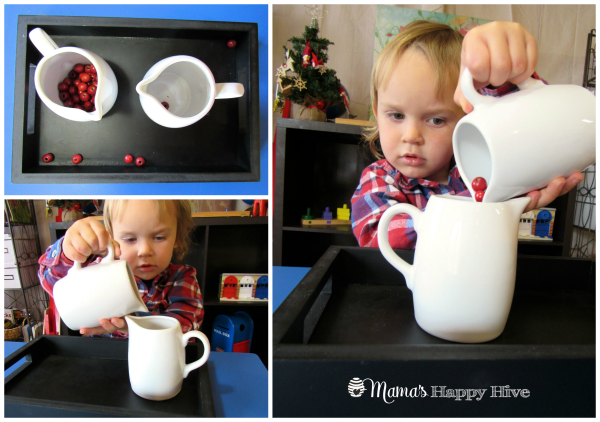 Today's part of the series is a collection of 8 Montessori Inspired Christmas Activities for toddlers and preschooler to enjoy! I purchased a darling tiny tree at the craft store and set up a multicultural tray of decorations for Little Bee to hang on the limbs of the tree. 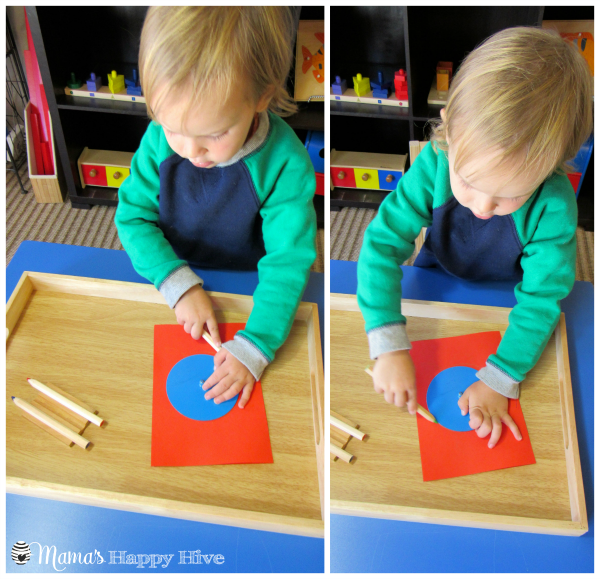 This activity is wonderful for developing the fine motor muscles of the hands. It takes concentration with hand-eye coordination to open the looped string/ribbon on the ornament and then carefully hang it up. Little Bee had not worked with the metal insets before. I showed him how to trace the circle with a pencil. I wasn't sure if he was developmentally coordinated enough to actually draw around the circle himself. He really surprised me when he drew around the circle easily! Next I placed glue onto the drawn circle and put pom poms with stickers on the tray. 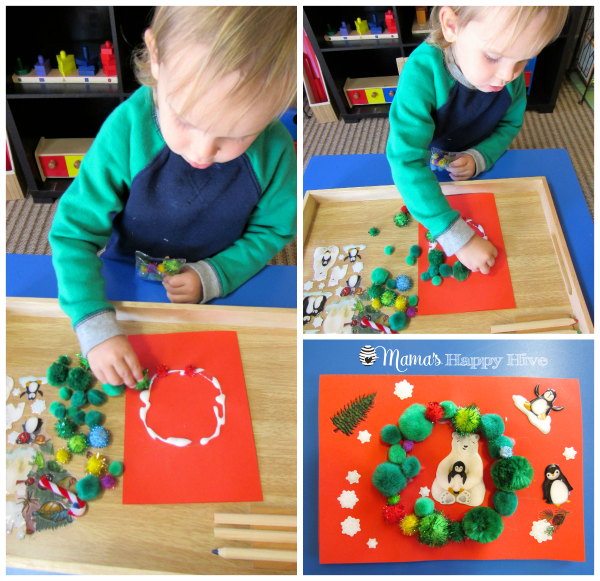 Little Bee placed the pom poms onto the glued circle to create a Christmas wreath. He also added several winter stickers to the card. We are making this Christmas card for the grandparents. 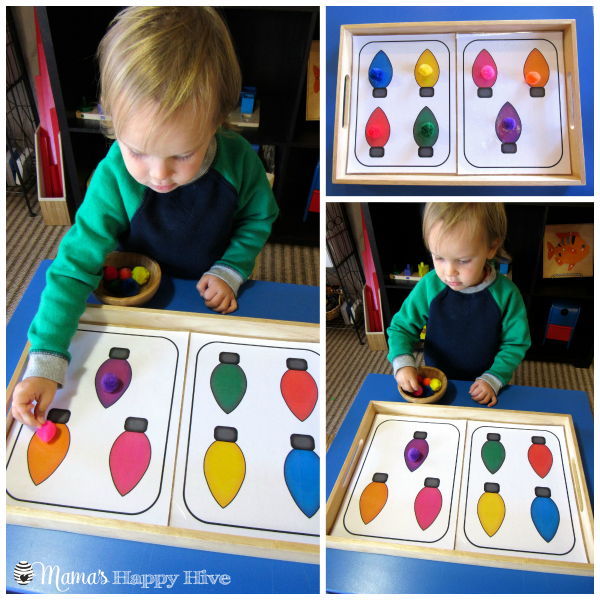 This is a fun Christmas lights color matching printable that we enjoyed last year in the post - 10 Montessori Inspired Tot Trays. This year, I decided to use it again, however, instead we used pom poms for the matching work. You can see below that Little Bee mixed up his pink and orange colors, but he self-corrected himself as he continued to match the colors. Originally I wanted to do a pouring work using cranberries, however, I didn't have time to find the cranberries. So instead, we used red Christmas beads. This pouring practical life activity is one of Little Bee's favorite activities. He will sit for long periods of time pouring the beads back and forth. If you would like a formal lesson on how to introduce dry pouring, please visit - Montessori Practical Life Lesson: Pouring Rice. Last week, I found these adorable Russian nesting dolls at an international store. I knew Little Bee would love them so much! At first I showed Little Bee how to take each doll out of the bigger doll and line them up in a row. He caught on quickly and soon began to work with the dolls. He was fascinated by how tiny the littlest doll was! Little Bee helped me gather several sticks on our walk around the neighborhood. I broke them into long and short pieces - creating the fir tree design. Next, I hot glued the sticks onto a large popsicle stick. A ribbon could also be added while gluing, so that the fir tree could be hung on the Christmas tree as an ornament. 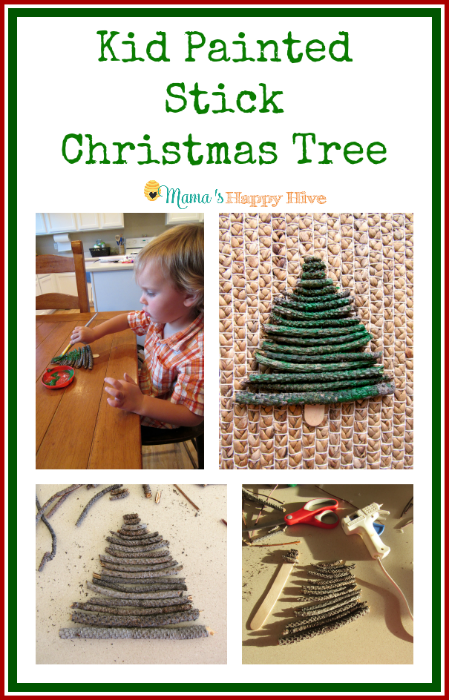 After the gluing was complete, Little Bee painted the tree green. This practical life activity was inspired by PreK + K Sharing blog. 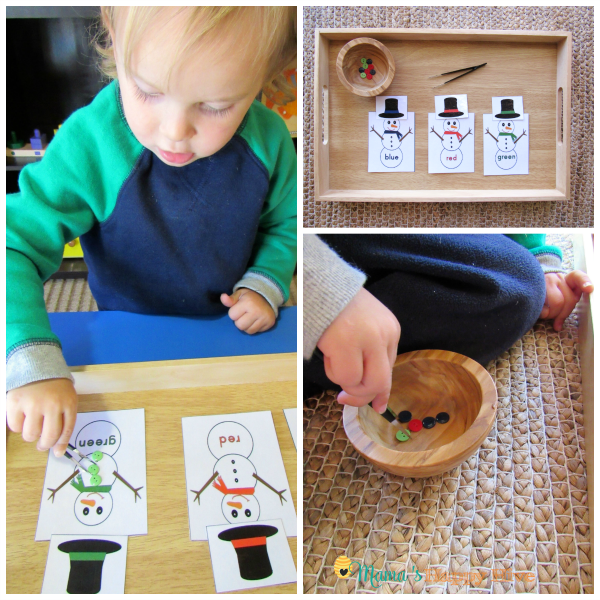 This snowman printable is adorable and wonderful for matching, fine motor, and color recognition work. The first thing Little Bee did was match the colored hat with the colors on the snowman. Next Little Bee used the tweezers to transfer the colored buttons to the corresponding snowman. 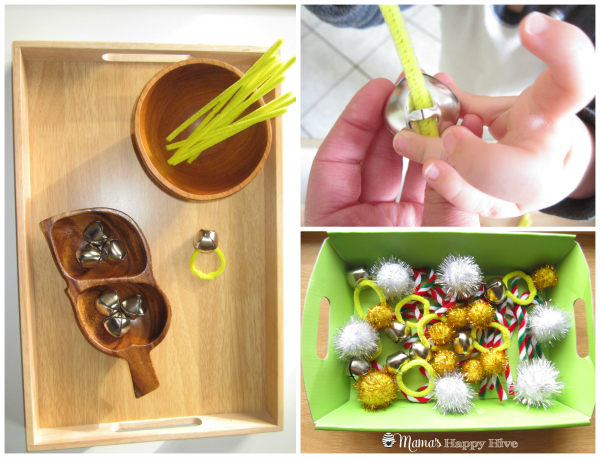 Little Bee helped thread a yellow pipe cleaner through the loop hole of a bell to make ornaments and bracelet instruments. These are festive musical instruments to hang as a decoration on the Christmas tree. Plus, this activity is awesome fine motor work! 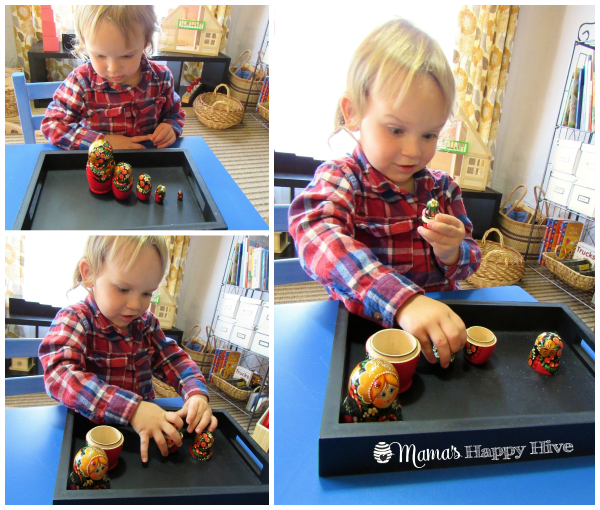 This amazing series is brought to you by over 15 fabulous Montessori bloggers. 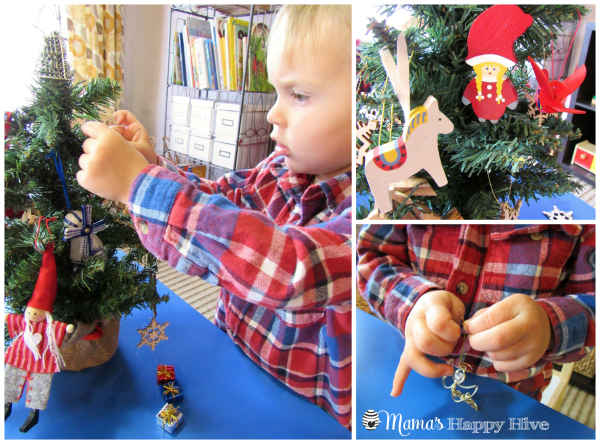 A new Montessori holiday themed blog post will be published each day from October 25 – November 11! As the post goes live, we will update the home page with all the links. You will not want to miss Welcome to Mommyhood's - St. Nicolas Day post, that will be published tomorrow! You know your Child is very lucky to have such a Mom that organise so many activities for him! Your card for grandparents turned out so beautful! I really like Matryosha dools and your little ones face is so amazed and surprised it is so fun! Oh and painted stick Christmas tree is such a genuine idea! I am very inspired after reading your post! So many clever ideas!! I am definitely bookmarking it for the next month! I looooved your Christmas tree painting activity! Vanessa, I don’t know which of these adorable activities I like the best…I just kept reading on and on to yet another even more interesting activity! The tree made of sticks is just about the most ingenious Montessori-style activity I’ve ever seen. LOVE them all! Thank you so much, Carolyn! So kind of you! 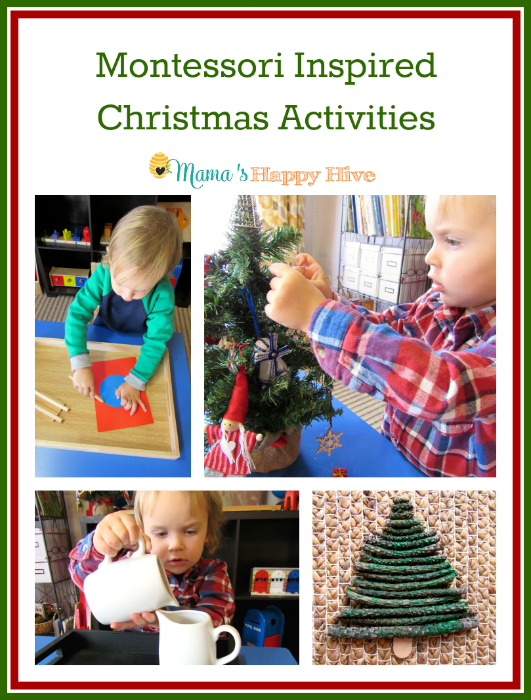 This is a great bunch of beautiful and fun holiday activities! What a gift! Thank you, Vanessa! Oh! I LOVE this post! Your ideas are fantastic! Sharing! This is was great! I really loved the section on creating the card. I have been going back and forth about purchasing a set of metal insets. I think I will go ahead and purchase a set. Wonderful! I’m glad you are inspired, Jae. 🙂 Little Bee is 2.5 years old in these pictures. What great activities! I love the metal inset Christmas card activity. What a fabulous idea. Awesome post! I love these ideas and how they connect so well with the classical materials (I love seeing Sensorial extensions and parallels 🙂 ). Thanks Vanessa! What a wonderful group of ideas! My boys have for years loved it when we pull out our little tree for them to put ornaments on, it was helpful to keep little ones from wanting to pull them off of our big tree too 😉 ! I’m pinning over on Pinterest to use some of these great ideas next month! Have a great weekend!! I absolutely love these! Thank you for sharing. This year I am making an activity advent calendar for my daughter and I am going to include some of these.